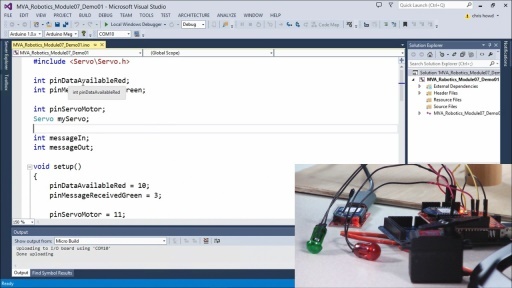 Experts share plans for future MVA courses in this series, including .NET Micro Framework projects, the Internet of Things (IoT), and projects that dig a little deeper into sensors and device integration, embedded computing, and robots. I would like to make a robot lawn mower. my yard has cement around the borders. I've seen the wire in the ground line following but I would like to do something different. do you think the color sensor would see just the only the grass? or is it not that sensitive? I also was looking at gps but it looks like its not that sensitive either. do you have any thoughts or ideas? Thank you for sharing your knowledge, it's an amazing work,really fascinating. I will upload your video to my social network.